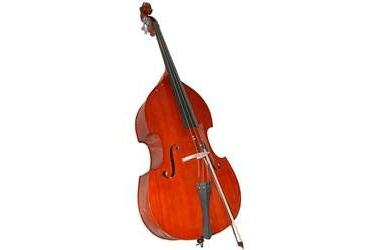 Available Sizes: 16 1/2" - 11"
Hand crafted with fine-grained solid spruce top, solid maple back and sides, inlaid purfling, full ebony fittings, hardwood chin rest, super sensitive red label strings, alloy tailpiece with four string adjusters, nylon tailpiece loop. polished warm brown laquer finish. outfits include octagonal wood horsehair bow with ebony frog, lightweight canvas covered case with instrument blanket and exterior shoulder rest pocket. 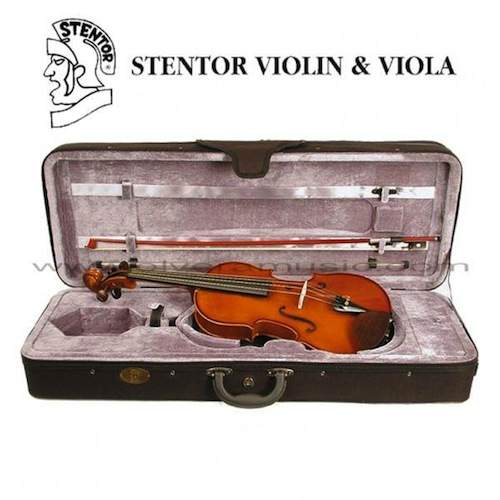 The Stentor Student II is now recommended by many education advisors as the best possible teaching instrument. 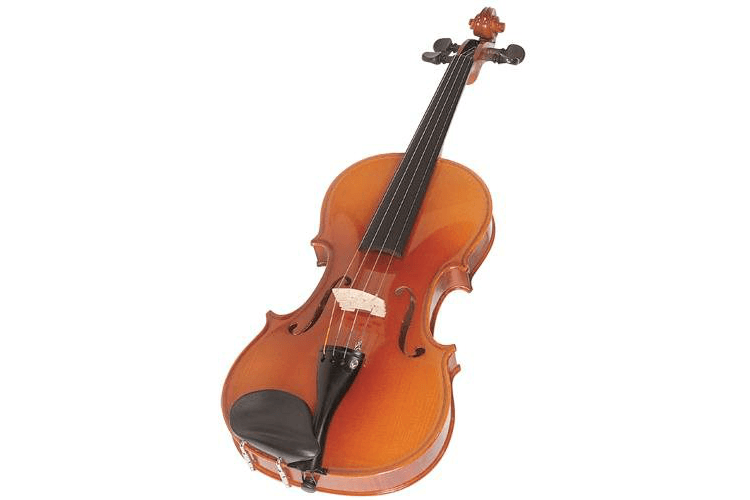 The viola itself is of high quality, handmade in Stentor's unique workshop environment. Please note, all sizes available!! Please call. 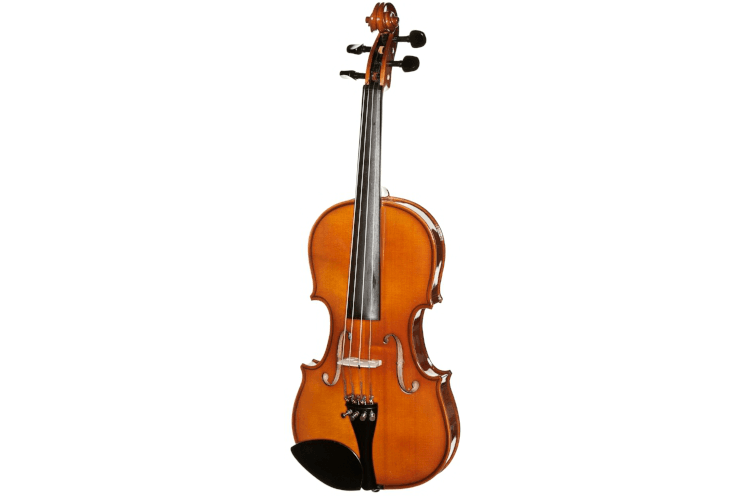 William Lewis & Son instruments offer quality student instruments with traditional innovation. This craftsmanship is blended with beautiful spirit and lacquer finishes giving students an opportunity to start on instruments that will encourage musical development. 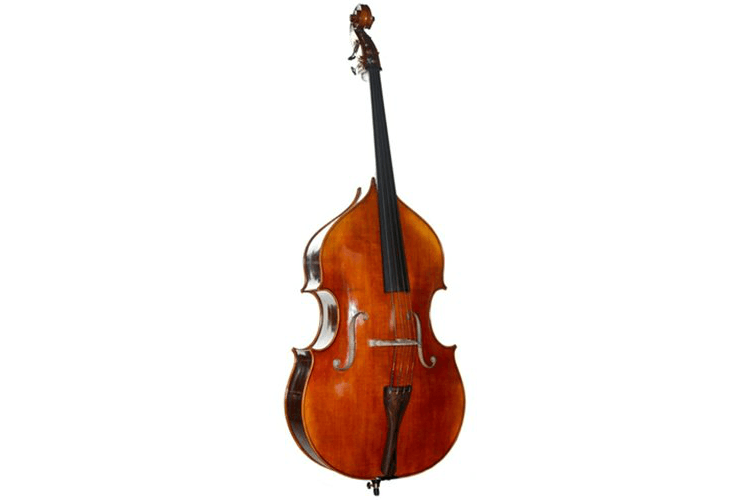 With a legacy in craftsmanship dating back to 1874, William Lewis & Sons is one of the oldest string instrument brands still in production. The solid carved spruce top provides an excellent sound board. 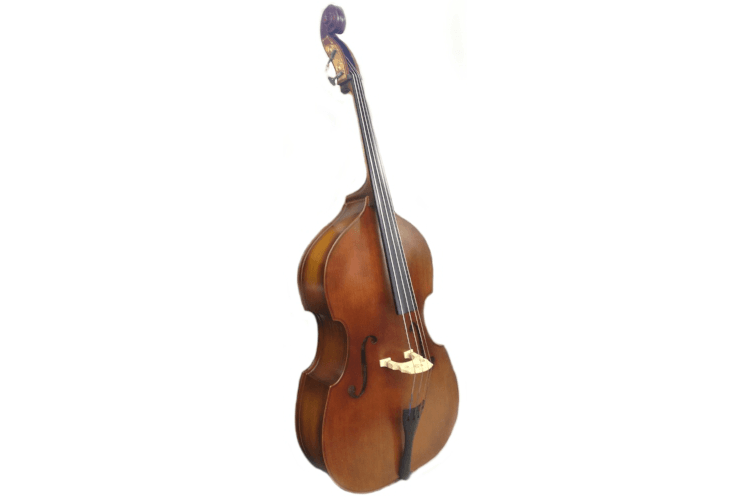 The maple back and sides enhance greater projection as well as a refined tonal quality. True ebony pegs and fingerboard (not stained hardwood) facilitates reliable function and playability for many years. Full hand inlaid purfling (not painted) protects the solid top and back plates from splitting damage and demonstrates an attention to detail often overlooked. 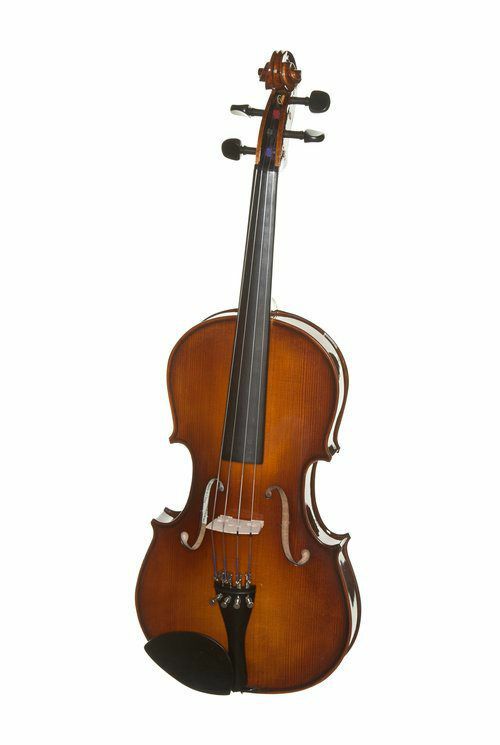 The hard lacquer finish gives needed durability for beginning students not yet familiar with the delicate nature of a stringed instrument. 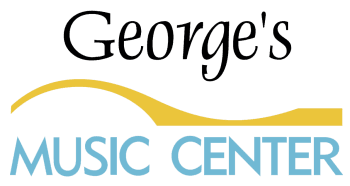 Each instrument is set up by hand in our Cleveland Ohio facility to meet or exceed MENC (school requirements) for student instruments to give the player the best possible performance experience and inspiration. USA installed D’Addario Prelude strings provide a better tonal quality, longer string life and maximum playability. A good quality maple German Teller bridge is carved so the feet match the top plate curvatures closely to transfer the most string vibration possible to produce the best tone and volume. A composite tailpiece with four integrated fine tuners makes the fine tuning of all strings easy and convenient for the student and teacher. A fiberglass bow gives the student a reliable camber without warping. 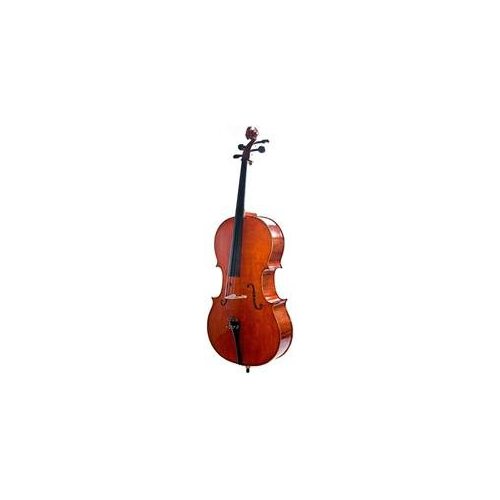 The Mongolian horsehair ensures that the rosin adheres well and gives an even draw to the bow across the strings. 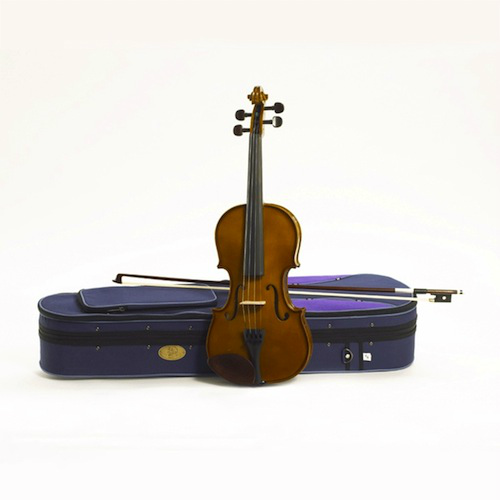 The tough student friendly thermoplastic case with aluminum valance is an industry standard to protect the instrument from weather elements and minor mishaps. Please note, other sizes availble. Allow 5-7 Days.